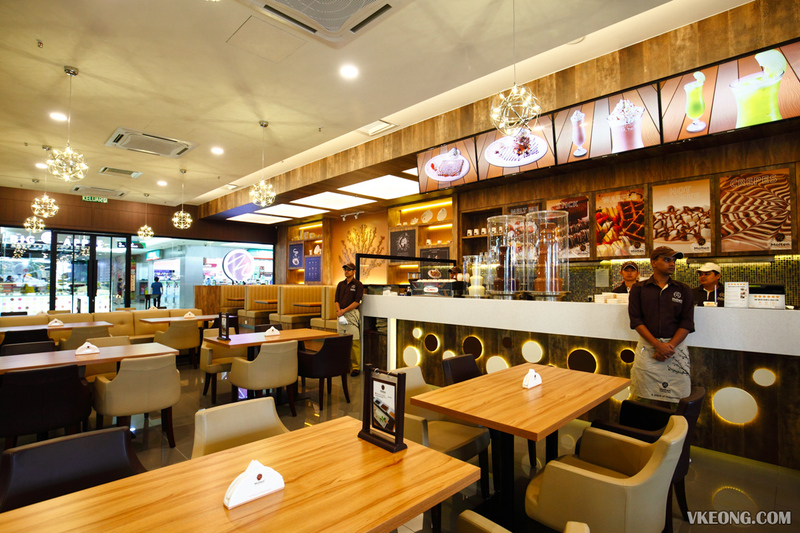 « Thai Hou Sek @ 1 Utama – Really Hou Sek Woh. 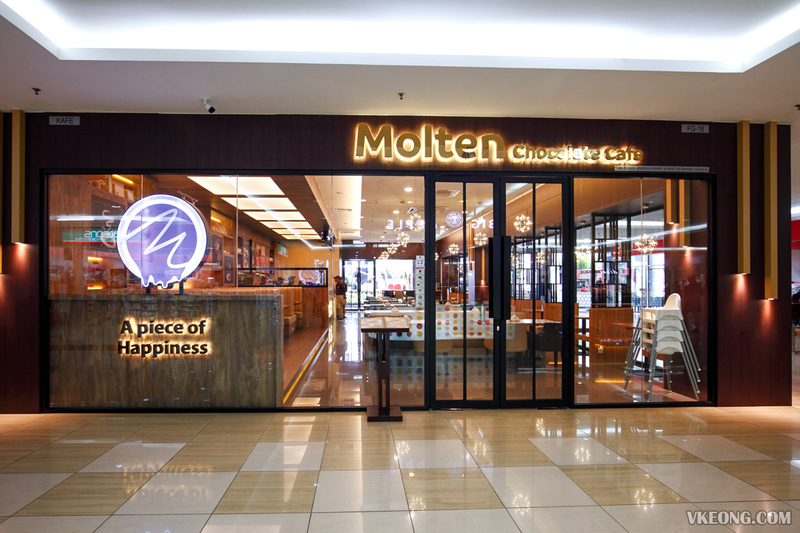 Molten Chocolate Cafe must be every chocoholic’s dream come true. 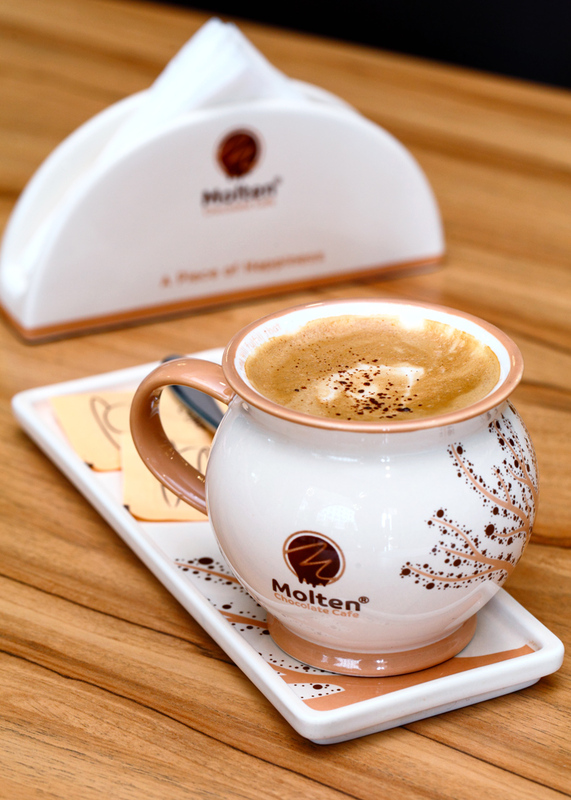 Whether you are looking to satisfy your sweet cravings, a nice cup of coffee or take your little ones to indulge in the chocolate that they love most, Molten Chocolate Cafe should be on your radar. There’s chocolate in almost everything and the range of desserts offered include crepes, pancake, waffle, brownies, ice cream and fondues. 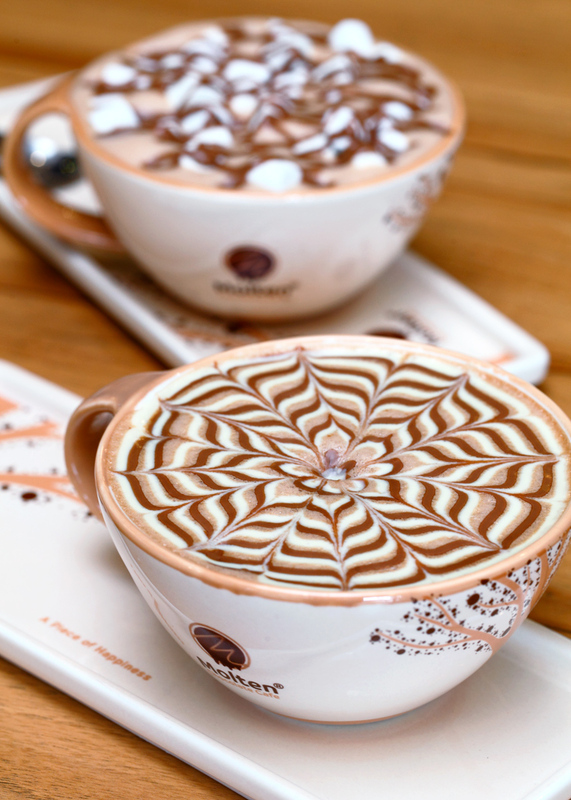 Creative hot chocolates, smoothies and milkshakes are also available. All of them looked so great and mouth-watering on the menu, we had a hard time deciding on what to order. Eventually, we took the staff’s recommendations based on our preferences and I have to say they were spot on. 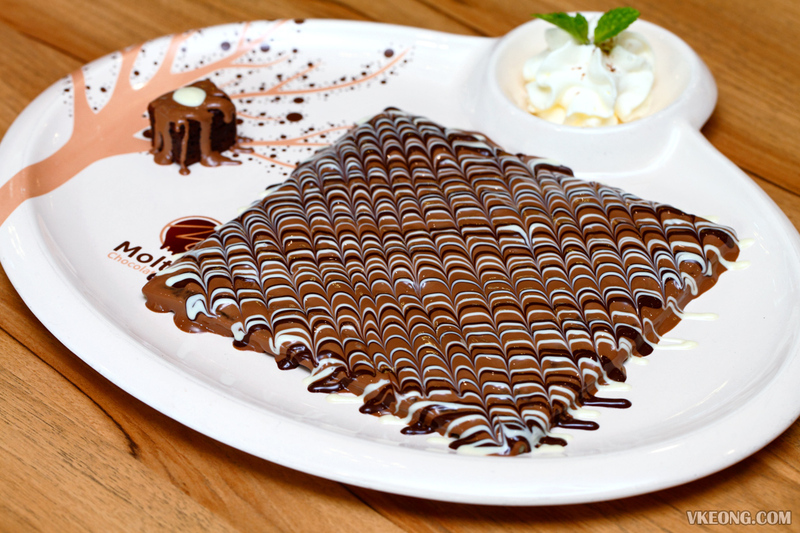 One thing we liked a lot about Molten Chocolate Cafe was their presentation. The things we ordered looked exactly like what was advertised on the menu. Portion size was perfect for sharing and you really feel like you get your money’s worth here. The Brownies Crepe @ RM28.50 (RM31 with ice cream) has fresh folded crepe filled with brownies and topped with three kinds of chocolate. Although it looks rich, the sweetness felt just right to the palate and never cloying, as the flavor emphasis in on the chocolate. The same goes for the rest of the desserts and drinks we had, they tasted more chocolatey than sweet. 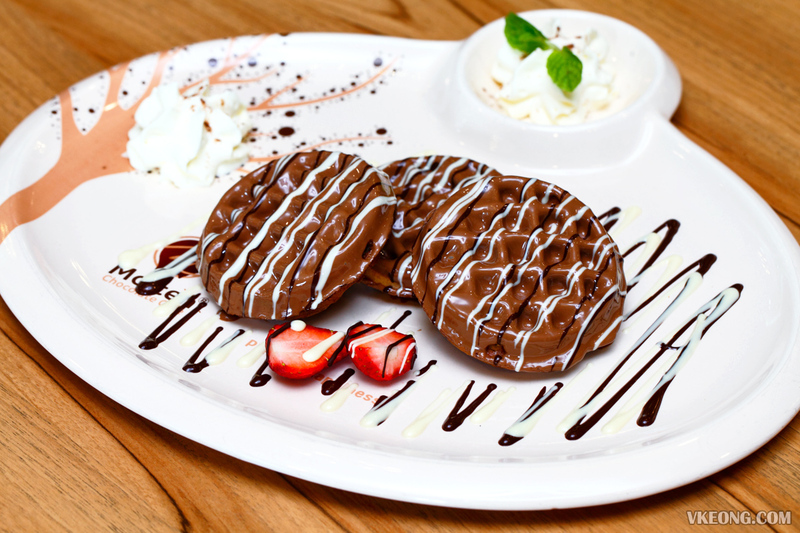 I absolutely adored the Chocolate Waffle @ RM17 (RM19.50 with ice cream) so it was my personal favorite. 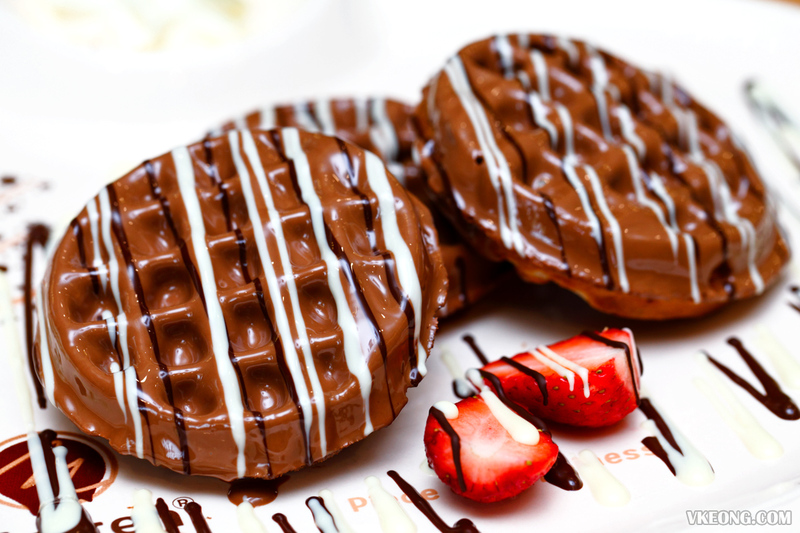 The waffles are coated in a thick layer of chocolate which gives it an almost biscuit-like crunch, yet light and chewy inside. 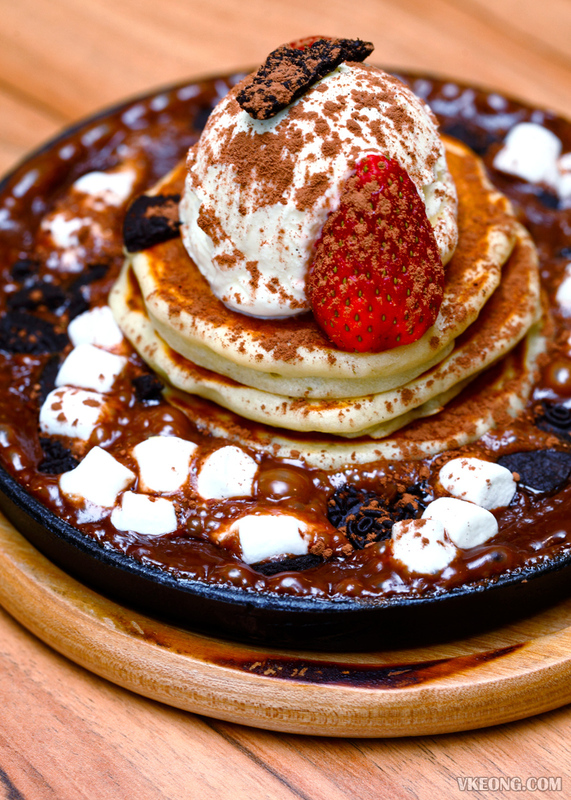 We also had the Sizzling Pancake @ RM26.50 and it was the most chocolate-intense dessert of the day. The pool of chocolate sauce surrounding the pancake tower turned sticky and gooey once the sizzling stopped. Then, simply mop up the sinful chocolate sauce and ice cream with the pancakes – the combo just works. Good coffee can be found in many places, but the same can’t be said for hot chocolate, especially one that’s prepared with real shaved chocolate. 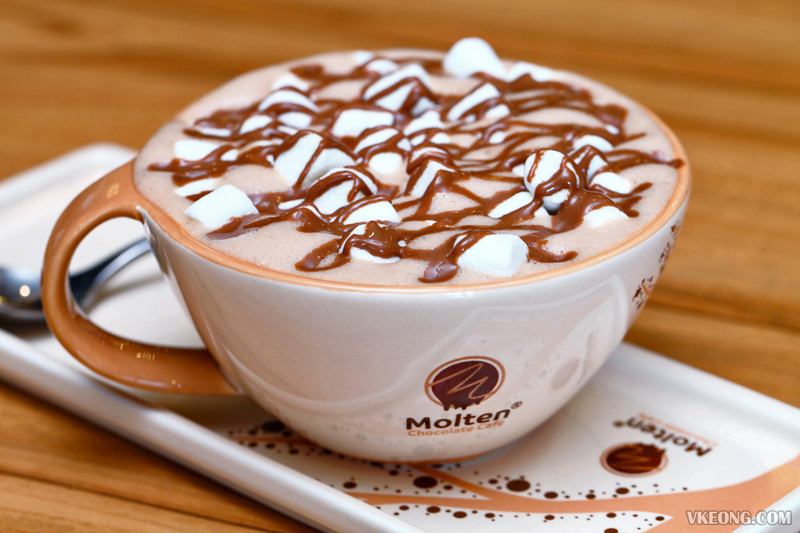 Molten Chocolate Cafe’s hot chocolate drinks not only look good, but they taste great! We tried the Belgium Hot Chocolate @ RM14.50 and Mallow Hot Chocolate @ RM16, both milky, creamy and delicious to sip on. For those who still prefer to have coffee, you are covered. Cappuccino, latte, Americano, mochaccino, Espresso, etc, you name it they have it. Delightfully strong too. In conjunction with Dataran Pahlawan‘s Let’s Makan Campaign, you will receive a 5% discount on every product in Molten Chocolate Cafe. 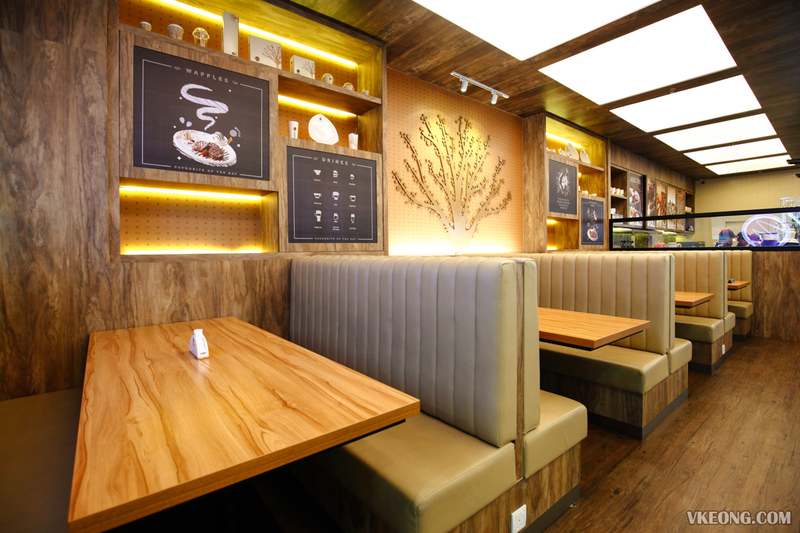 Just quote the promo code LETSMAKANMOLTENCAFE to enjoy the discount. Do note that this promo code is only valid for their Dataran Pahlawan outlet from 1 – 30 April 2017. The post Molten Chocolate Cafe @ Dataran Pahlawan, Melaka appeared first on Malaysia Food & Travel Blog.